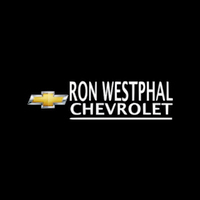 Ron Westphal Chevrolet in Aurora, IL is not only the largest dealership of new and pre-owned Chevrolet but also provides reliable repair and maintenance service for your Chevrolet cars, SUVs, crossovers and trucks. We have factory certified technicians who are well educated to know about every inch of your vehicle. We advise you to never ignore even the minor issues related to your car maintenance and bring it to Ron Westphal Chevrolet’s highly reliable service center in Aurora, IL. For special and major repairs, you can schedule service online by filling up a simple form. Mention your vehicle and contact details and select your desired date and time. Ron Westphal Chevrolet in Aurora, IL also offers amazing service specials and incentives. Customers receive service discounts and service coupons whenever they bring their Chevrolet for minor or major maintenance works. With these service coupons customers enjoy free car washes, filters replacements and many other free services. For all sorts of repairs and maintenance works of your new or pre-owned Chevrolet, bring your vehicles to Ron Westphal Chevrolet in Aurora IL and our experienced service staff will get you back on road quickly and safely.